In 2015, the world endorsed the bold 2030 Agenda for Sustainable Development and the landmark Paris Agreement to address climate change. Nationally determined contributions (NDCs) are at the heart of the Paris Agreement and the achievement of its long-term goals. 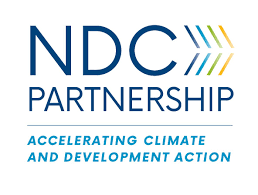 NDCs embody efforts by each country to reduce national emissions and adapt to the impacts of climate change. The Paris Agreement (Article 4, paragraph 2) requires each Party to prepare, communicate, and maintain successive NDCs that it intends to achieve. As each country implements and advances its NDCs under the Paris accord, new approaches and promising practices must be identified to realize significant and lasting climate action.